Timothy Time, "The Clock that Rocks," and his comical friends Kuku and Digi teach kids how to tell time to the hour and minute using a traditional analog clock with hands. Students also learn about digital clocks, days of the week, months of the year, counting by fives, and more. This video provides fun songs, clear examples, and plenty of practice applying the concepts. New animation helps kids stay focused. Approximately 46 minutes. Grades 1 and up. 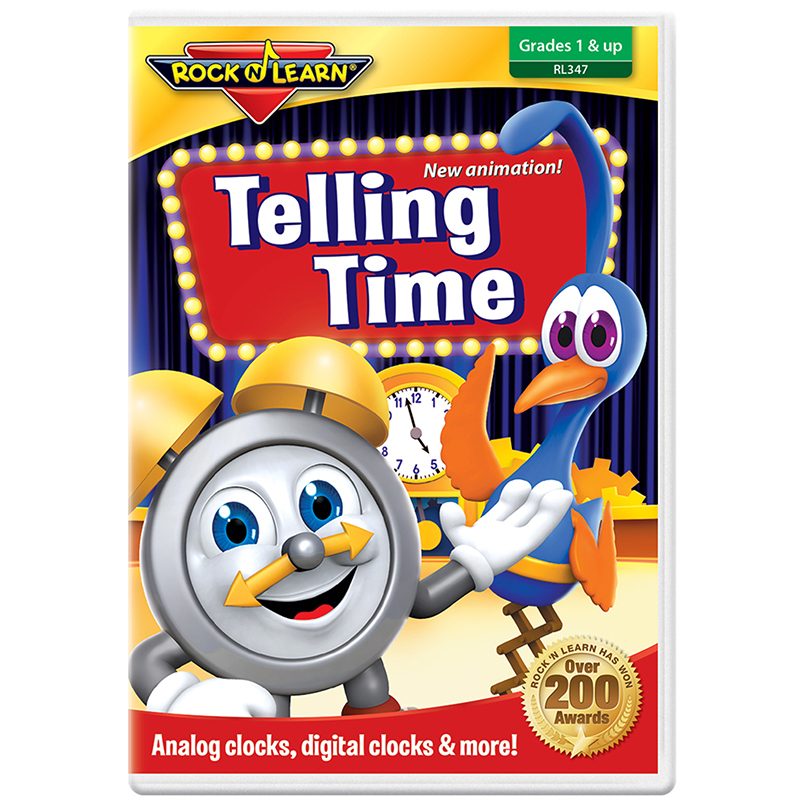 The Rock N Learn Telling Time Dvd can be found in our Dvd Player product category within the Audio/visual.